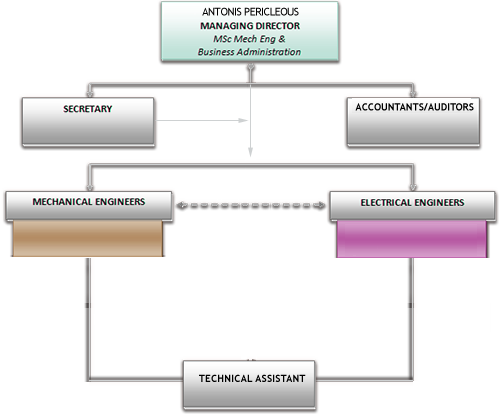 The chart below depicts the structural organization within our company. The below is the core personnel. Additional personnel are employed depending on work load requirements.